The line consists of a bobbin stock and an upload table with steering rollers for each cable size and a feedwork, cut saw and an output. On the operator panel elects number and lenghts. The operator insert the correct cable dimension in the feedwork, which automaically feed a cable length at a time to the cut saw. 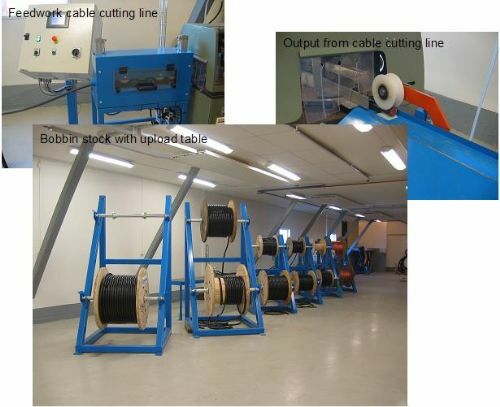 The output ejects the cable from the cut saw to a collection table.